The nuclear symbol for an element, such as oxygen, includes information about the number of protons and neutrons in the atom. This worked problem demonstrates how to write nuclear symbols for isotopes of a given element. The nuclear symbol of an isotope indicates the number of protons and neutrons in an atom of the element. It does not indicate the number of electrons. The number of neutrons is not stated. Instead, you have to figure it out based on the number of protons or atomic number. Write the nuclear symbols for three isotopes of oxygen in which there are 8, 9, and 10 neutrons, respectively. While it's common to write nuclear symbols with the atomic mass—the sum of the number of protons and neutrons—as a superscript and atomic number (the number of protons) as a subscript, there's an easier way to indicate nuclear symbols. Instead, write the element name or symbol, followed by the number of protons plus neutrons. For example, helium-3 or He-3 is the same as writing 3He or 31He, the most common isotope of helium, which has two protons and one neutron. 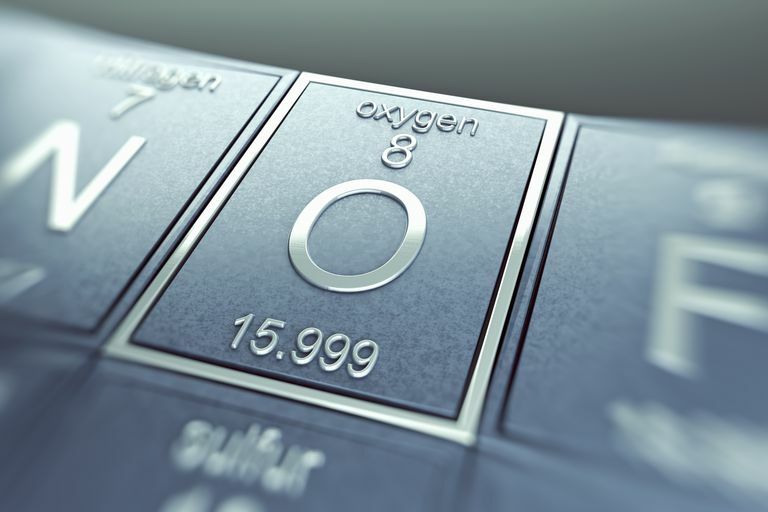 Example nuclear symbols for oxygen would be oxygen-16, oxygen-17, and oxygen-18, which have 8, 9, and 10 neutrons, respectively. Uranium is an element often described using this shorthand notation. Uranium-235 and uranium-238 are isotopes of uranium. Each uranium atom has 92 atoms (which you can verify using a periodic table), so these isotopes contain 143 and 146 neutrons, respectively. Over 99 percent of natural uranium is the isotope uranium-238, so you can see that the most common isotope isn't always one with equal numbers of protons and neutrons.